Bob Marley & The Wailers - "One Love"
Ace Of Base - "Wheel Of Fortune"
Brand New Heavies - "Midnight At The Oasis"
Sergio Mendes & Route 66 - "Mas Que Nada"
Vengaboys - "Uncle John From Jamaica"
Eddie Grant - "Electric Avenue"
Jacob Forever - "Hasta Que Se Seque El Malecon"
Chino & Nacho - "Andas En Mi Cabeza"
Paulina Rubio - "Si Te Vas"
Fly Project - "Like A Star"
Jennifer Lopez - "Ain't Your Mama"
Thalia - "Amor A La Mexicana"
Gloria Estefan - "Cuba Libre"
Celia Cruz - "Que Le Den Candela"
Pitbull - "Hotel Room Service"
Fulanito - "La Novela (Pena Por Ti)"
Gente De Zona - "Algo Contigo"
Chubby Checker - "Let's Twist Again"
Lou Bega - "Mambo No 5"
Wham! - "Wake Me Up, Before You Go Go"
Will Smith - "Gettin Jiggy Wit It"
Sugarhill Gang - "Rappers Delight"
Bruno Mars - "Uptown Funk"
Dobbie Brother - "Long Train Runnin'"
Jacksons - "Can You Feel It?" Roy Orbison - "Pretty Woman"
Dave Clark Five - "Glad All Over"
Dexys Midnight Runners - "Jackie Wilson Said"
George Harrison - "Get My Mind Set On You"
Elton John - "Saturday Nights Alright For Fighting"
Chris Montez - "Let's Dance"
Velvelettes - "Needle In A Haystack"
Bad Manners - "Can Can"
Chubby Checker - "Dancing Party"
Sam Cooke - "Twisting The Night Away"
Ray Charles - "Shake Ya Tail Feather"
Olly Murs - "Dance With Me Tonight"
Cliff Richard - "Do You Wanna Dance"
S Club 7 - "Reach"
Ricky Martin - "Living La Vida Loca"
Bill Haley & The Comets - "Rock Around The Clock"
Dire Straits - "Twisting By The Pool"
Rembrandts - "I'll Be There For You"
Kenny Loggins - "Foot Loose"
Grease Cast - "We Go Together"
New Years Eve Countdown & Auld Lang Syne - "20 Seconds To Midnight"
Wham - "Wake Me Up Before You Go Go"
Diana Ross - "Why Do Fools Fall In Love"
Martha Reeves & The Vandellas - "Heatwave"
Shirley Ellis - "Clapping Song"
Shakin Stevens - "This Ole House"
Shakin Stevens - "Everybody Needs Somebody To Love"
Madonna Vs Technotronic - "Jam Another Day"
Elvis Presley With The Royal Philharmonic Orchestra - "Burning Love"
Elvis Presley - "Elvis Greatest Pop Mix"
Notes: Here is a set of Technics branded high quality slipmats with the Silver Dots turntable platter design in silver print that are suitable for any set of vinyl decks. Notes: Here we have a set of Technics branded high quality blue slipmats with the classic Technics logo in bold white print that are suitable for any set of vinyl decks. Made from the finest but strongest felt material, these slipmats are the No.1 choice for DJs and vinyl lovers across the World. Dependable & hard wearing, they are also resistant to dust & other particles, so will not scuff, scratch or damage vinyl. Notes: Genuine Technics branded slipmats. 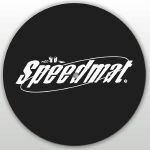 These felt speedmats are designed specifically for scratching. Notes: Stand out from the crowd with this stunning ladies United DJs t-shirt from DMC. 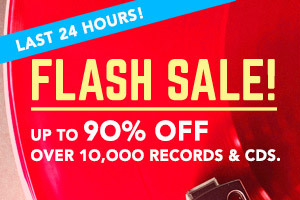 Jax Jones & Mabel - "Ring Ring"
DJ Khaled, Justin Bieber & Chance The Rapper - "No Brainer"
Benny Blanco, Halsey & Khalid - "Eastside"
Level 42 - "Level 42 Megamix"
Frankie Goes To Hollywood - "Maximum Joy Megamix"
New Order vs Frankie Goes To Hollywood - "Blue Monday vs Relax"
Depeche Mode - "Just Can't Get Enough"
Landscape - "Einsteen A Go Go"